Thinking about making the switch from from iPhone to Android? 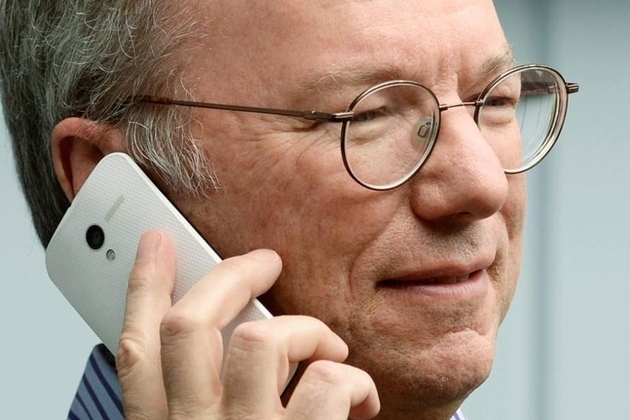 "Many" of Eric Schmidt's friends are, he says — and so he wrote them a 900-word guide to walk them through the process. Google's executive chairman took to Google+ today to share tips and best practices for abandoning Apple's ecosystem in favor of Google's. "Many of my iPhone friends are converting to Android," Schmidt writes. "The latest high-end phones from Samsung (Galaxy S4), Motorola (Verizon Droid Ultra) and the Nexus 5 (for AT&T, Sprint, T-Mobile) have better screens, are faster, and have a much more intuitive interface. They are a great Christmas present to an iPhone user!"